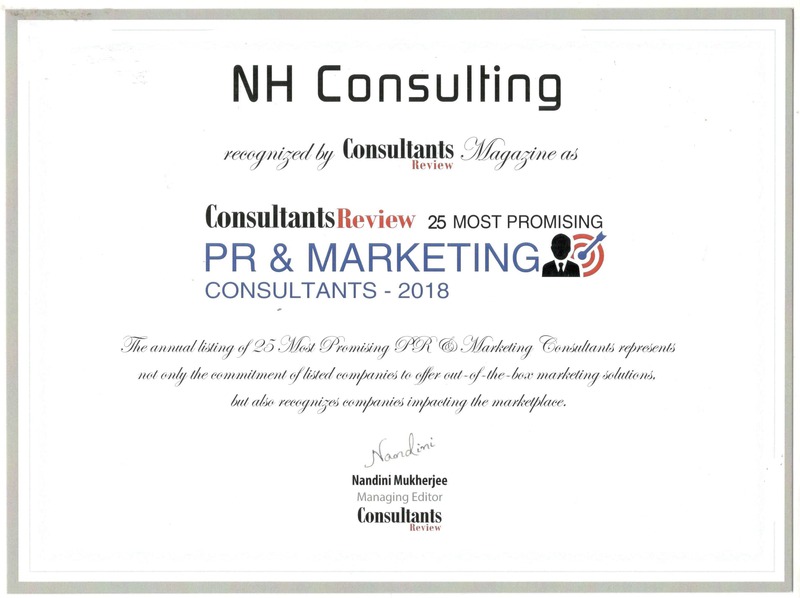 NHC (An Orion Group Company) is recognized as one of the top in twenty five (25) most promising Market Research Companies in the country for Organization Strategy, Consulting services and capabilities. Consultants Review Magazine assesses consulting-service providers in terms of their capabilities to create client impact through their depth of expertise and their ability to deploy it across a range of engagement models. “NHC joins the leaders on the strength of its NRM framework, which leverages Government strategy to drive end-to-end transformation. Orion Security Solutions Private Limited is at the sixth edition of Private Security Industry Conclave (PSIC) 2018 on August 03, 2018, Organised by FICCI, Federation House, New Delhi. Session talks about Recognitions of Prior Learnings for Reskilling and Upskilling of Security Officers. This session discussed the need for deeper collaboration between Skill development ministry, Government of India and private security agencies. The theme of this year’s programme is Job Creation and Skill Development. The objective of the conclave is to bring together experts from the Government, Private Security Industry, State Controlling Authorities, Service Users and other stakeholders to discuss and debate various central and state legislative & policy issues affecting the functioning of Private Security Industry. Prahar Equicom Pvt. Ltd. announced its merger with India’s one of the largest Security Services Provider Orion Security Solutions Pvt. Ltd. during the FICCI 1st Police Expo 2018 with the theme ‘Predictive Policing & Contemporary Challenges for Indian Police Forces’ on July 26-27, 2018 at BPR&D HQ, Mahipalpur, New Delhi. The Expo was inaugurated by Hon’ble Home Minister, Sh. Rajnath Singh. In the presence of senior officers from the Police & Security Forces, and the young Superintendents of Police & Commandants from CAPFs, HM emphasized more and more use of latest technology in areas such as Artificial Intelligence; Predictive Policing / Crime Analytics/ Big data Analytics; Geospatial Technology; Cyber Crime; Surveillance Tracking & UAVs; CCTV Equipment, for effective delivery of Police Services to citizens. During the interaction, the Home Minster took special interest in the cutting-edge solution – InviArmour A unique Glass Protection Solution that converts an ordinary glass into bullet resistant and its top end solution can even protect against weapons like AK-47 – amongst others. Mr. Ashutosh Jha, Chairman & Managing Director, Orion Security Solutions Private Limited wins “Entrepreneur of the Year Award” in Service Business-Security by Entrepreneur India. Entrepreneur Awards 2018, conceived and initiated by Franchise India is aim to recognize and felicitate achievers, innovators and suppliers, who have contributed significantly towards the development of entrepreneurship in India. The most sought after awards in the business sector was organized on 16 July, 2018 (Monday) at JW Marriott Hotel in New Delhi. Hon’ble Minister of state for Commerce & Industry, Shri C.R. Chaudhary and Shri. Amitabh Kant, CEO Niti Aayog was the Chief Guest for the event who gave away the award certificates and trophies to the achievers at Entrepreneur Awards 2018. The 16 Awards given to business owners or founders of an organization offering Consumer or Business Services. The awards aim to recognize and felicitate Achievers, Innovators and Suppliers, who have contributed significantly towards the development of entrepreneurship in India. ORIONSECURE felicitated with ‘INDIA BUSINESS 2018’ award, conceived and initiated by Blindwink is aimed at eulogising and felicitating excellence, reputation and exemplary work in the Security Sector. The sought after awards in the sector are proposed to be organised on June 24th, 2018 (Sunday) at Taj hotel in Bangalore. The award was presented by bollywood actress Soha Ali Khan for the best security company provider to Col Sudhakar , Managing Director (HO) who received the award on behalf of the Company. 'Happiness Curriculum' event to be launched in delhi government schools. Security support given by ORIONSECURE at Tyagraj Stadium to Dalai Lama, Chief Minister Arvind Kejriwal and Deputy Chief Minister Manish Sisodia.The Happiness Curriculum involves meditation, moral teachings and mental exercises. The main aim behind this is to turn students into good human beings, said Mr. Sisodia. ORIONSECURE is the event partner of Security Leadership Forum (SLF 2017) powered by IFSEC at Taj Vivanta Ambassador 22nd 23rd March- a premier meeting place for Chief Security Officers, Heads of Security, Security Consultants, Security Architects and Solution Providers. The theme of the event is “Developing effective strategies and solutions to address operational challenges of corporate security leaders”. A congregation of top security leaders from across India, this forum will discuss challenges and potential solutions for the next evolution in corporate security in developing nations. Education and Skill Summit, A Part of Smart City Summit Uttar Pradesh 2016 - A National Summit on Skill Development, Urban Infrastructure, IT, Transportation to be held on 30th November 2016 in Hotel Piccadily, Lucknow. ORIONSECURE Skill & Training Division are Panelist for the Session on ‘Role of Skill Development in Smart City ecosystem’.